Ristorante a Mano opened the doors in 2011. After a short time the restaurant established to a high recommended location with one of the best italian cuisine in Berlin. Some reasons are exquisite, daily changing dishes and a distinctive mediterranean flair. Our excellent team is distinguished not only by first-class service, but also by its charm and the individual care of each guest. 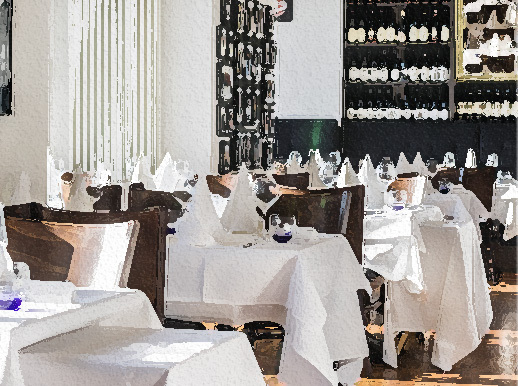 Ristorante a Mano is placed directly at Strausberger Platz in Berlin-Mitte, close to Alexanderplatz. Experience pure Italian flair and enjoy Mediterranean delicacies in a cozy and stylish ambiance. Our wide selection of food and wines leaves nothing to be desired. We look forward to your visit to our restaurant! Our cozy restaurant can accommodate about 40 people. If you are planning an event, you can contact us any time.